When an officer has probable cause to believe that a person committed a driving under the influence offense, the officer will arrest the suspect. A DUI arrest typically occurs after the officer conducts his or her DUI investigation and has formed a reasonable suspicion that a driver is under the influence of drugs or alcohol. Once a driver has been arrested for DUI, he or she will be taken into police custody. The DUI arrest is a critical part of the DUI Process. Just as an officer need reasonable or probable cause to justify stopping a vehicle, a law enforcement officer also requires probable cause in order to arrest a suspect for DUI. An officer will typically conduct a full DUI investigation before deciding whether or not to arrest a driver for DUI. The officer will approach the driver’s window and speak with the driver. The officer will be looking for symptoms of intoxication such as bloodshot and watery eyes, slurred speech and an odor of alcohol. The officer will also question the driver about whether he or she had been drinking or using drugs. If the officer suspects the driver is under the influence, he or she will ask the driver to exit the vehicle and participate in a series of field sobriety tests. The driver is not under arrest at this time; however courts have held that an officer is allowed to briefly detain a driver in order to conduct a DUI investigation. The field sobriety tests are not mandatory and the driver can lawfully refuse to participate. The officer will also ask the driver to provide a breath sample on the officer’s portable Preliminary Alcohol Sensor (“PAS”) device. This test is also not required for the majority of drivers. Only drivers who are already on DUI probation or drivers who are under the age of 21 are required to take a PAS test when requested. If the officer comes to the conclusion that there is probable cause to believe that the driver is under the influence, the officer will arrest the driver on suspicion of DUI. The driver will be handcuffed and placed in the rear of the officer’s patrol vehicle. The officer may allow a licensed and sober driver to drive the defendant’s car away or the officer may allow the defendant’s vehicle to remain parked if it is parked legally. If the car is not in a place where it can be parked legally, the officer will have the car towed. Once arrested, the driver will be given the option of taking either a breath or blood test. This test is mandatory and refusing the test can lead to a yearlong driver’s license suspension in addition to criminal DUI charges with a refusal allegation. If the driver chooses the breath test, he or she will be transported to the police station where a breath sample can be tested on the Breathalyzer machine. If the driver chooses the blood test, he or she will typically be taken to a hospital where medical personnel can conduct the blood draw and the sample would be sent out for analysis. Once arrested, the driver will be booked and taken to jail. Most drivers arrested for a first time DUI are released the following day and given a citation to appear in court on a future date. Some drivers may not be released and would either have to post bail or would be taken to appear in court while in custody. 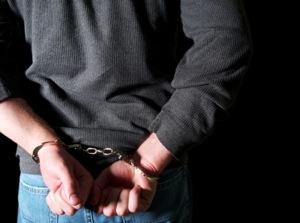 If you have been subject to a DUI arrest, it is imperative that you speak with a Los Angeles DUI Lawyer immediately. As a former Deputy District Attorney with over 14 years of prosecutorial experience, Los Angeles DUI Attorney Michael Kraut understands the DUI process and fights hard for his clients accused of driving under the influence. For more information about Los Angeles DUI arrests, and to schedule your free consultation, contact Los Angeles DUI Lawyer Michael Kraut at the Kraut Law Group located at 6255 Sunset Boulevard, Suite 1480, Los Angeles, CA 90028. Mr. Kraut can be reached 24/7 at 888-334-6344 or 323-464-6453.